It doesn’t matter where you spend Christmas as long as it’s with the ones you love, right? Well, that might be what the holiday spirit is all about, but there is definitely one place that would make celebrating Christmas all the more magical — Hogwarts. Thanks to the Warner Bros. Studio Tour London, you have the chance to eat Christmas dinner in the Great Hall of the wizarding school for the second year in a row. That’s right, even if you’re a Muggle you could enjoy Christmas like The Boy Who Lived, but some spells would certainly come in handy since getting tickets for this exclusive holiday event will be about as difficult as a Triwizard Tournament task. 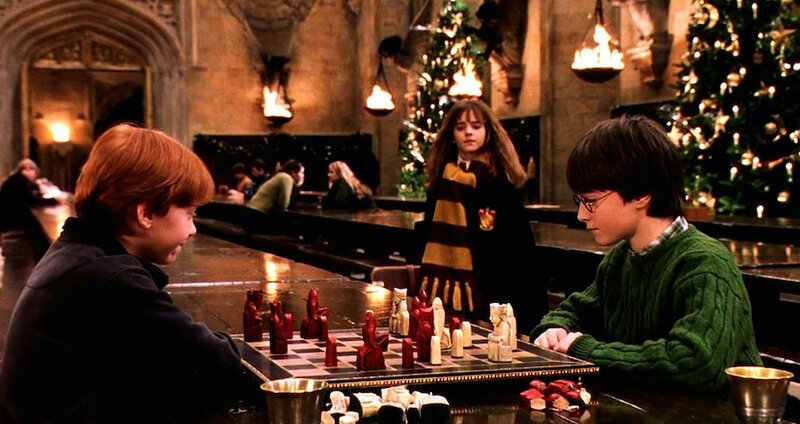 For two days only, you could eat Christmas dinner on the Harry Potter London set of the Great Hall at Hogwarts. The over six-hour long event occurs on Dec. 7th and 8th and the three-course meal includes roast turkey, gravy, and cranberry and sausage stuffing — yum! Not only do you not have to worry about house-elf abuse since they won’t be cooking this feast, there are vegetarian options as well. Accio dinner! The elaborate affair also includes music and dancing, a studio tour, and a wand of your choice — not to mention butterbeer — all of which helps explain the hefty price tag. The cost is £240, which is currently around $305. While eating Christmas dinner in the decked out halls of Hogwarts has got to be pretty priceless, that expense may understandably scare you away even more than if the Bloody Baron interrupted your meal. If no amount of money can stop you from living this Harry Potter fantasy, then you should know that tickets for the Christmas dinner go on sale on Oct. 6th at 10 a.m. in London, which is 2 a.m. PT. Don’t fret too much if you don’t snag tickets this year since I see no reason why the studio wouldn’t continue to make this an annual event. And just because you might not get to dine like Harry Potter in December 2016, I’m certain that the great HP would still want you to have a Happy Christmas since as he knew firsthand, it’s more important to spend Christmas with people that love you than have it full of expensive things.